Celebs get stalked all the time. It is an inevitable law of nature, it is odd however, when they get hunted down by people within their own business. Canadian actress, Genevieve Sabourin was arrested for supposedly stalking Alec Balwin on Sunday. She showed up at his apartment building and tried to get the doorman to let her in. When the building notified Baldwin of the woman he recognized her name and called the police. 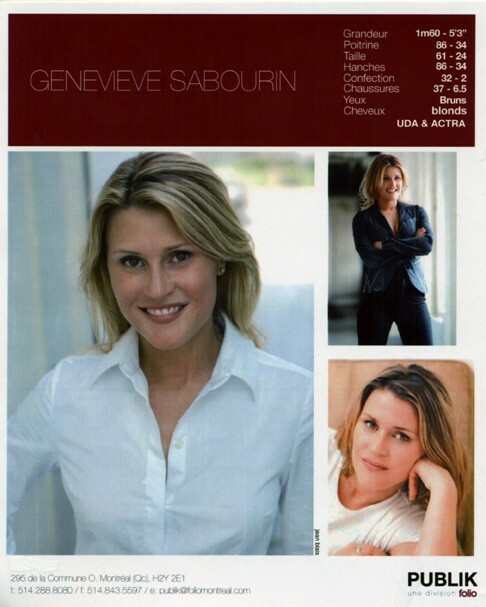 I have never heard of this Sabourin woman, or have seen any of her acting credits, but it is weird that someone in that business would put themselves into that situation. Some publications are saying that they met on the set of The Adventures of Pluto Nash in 2002, but that is just because Alec had a small cameo and she was a unit publicist for the show. I am sure more than the two of them and Eddie Murphy worked on that garbage movie. I would be interested in hearing her side of this story...as well as finding someone who knows her to tell me if she is crazy or not. Takers?